I’ve reached back into my archives for today’s theme word. 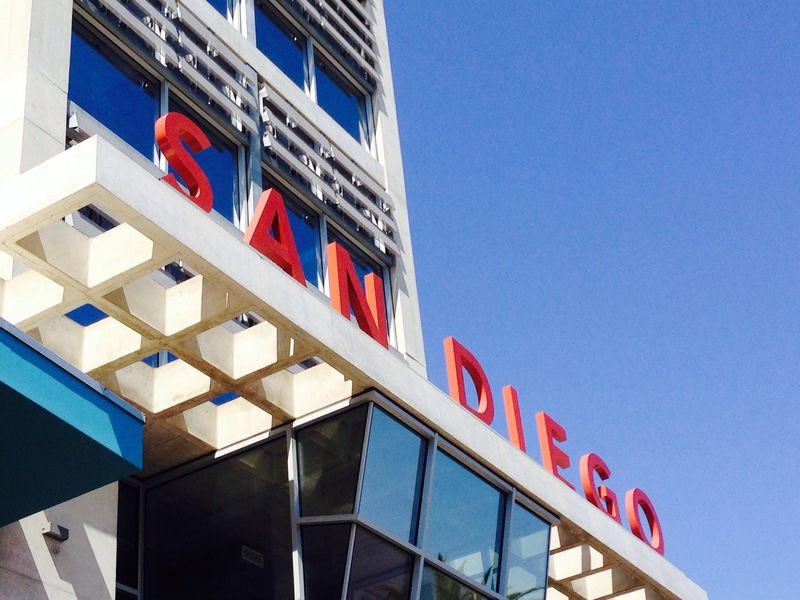 These photos, of San Diego’s new main library, were taken earlier this year. 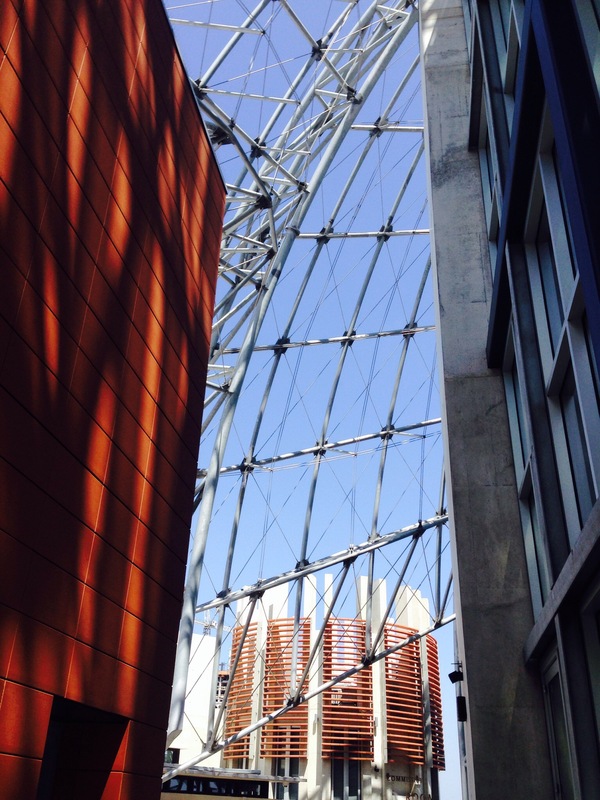 The unique architecture of the building encourages exploration and provides lovely vistas of the city and the bay. I was intrigued by the architect’s inspired use of a wide variety of materials in this landmark structure. 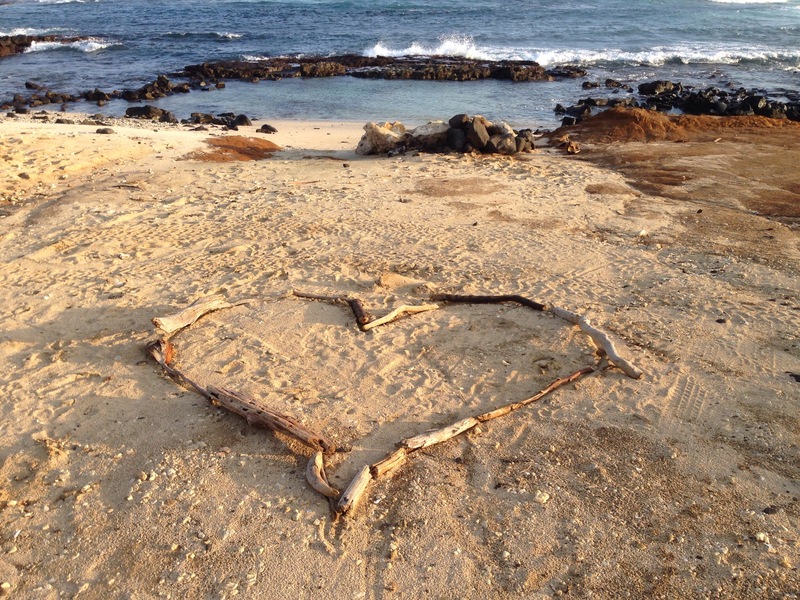 I came upon this arrangement in the sand on a lonely, out-of-the-way beach in southern Hawaii. It made me wonder who it was intended for and whether they were present to receive its beautifully simple message. 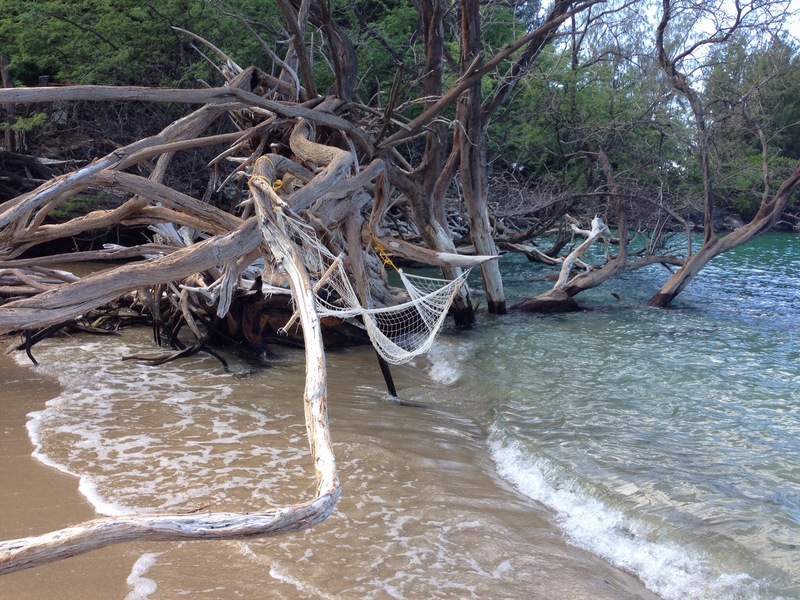 Although the hammock has been battered by the wind and the waves, it was once the perfect oasis in which to spend a quiet afternoon embraced by the ocean and the warm breeze. 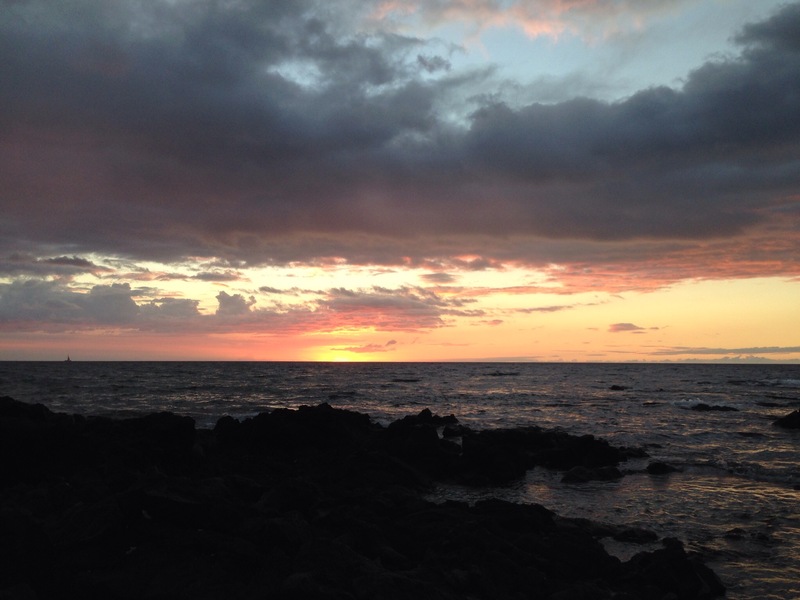 Bliss is all around us in Hawaii; it’s hard to choose an image to best illustrate the theme. 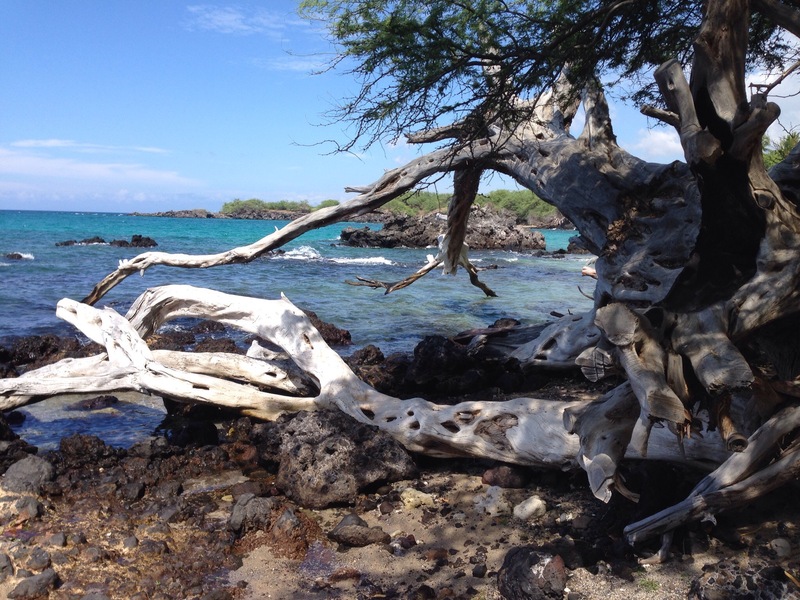 I took this photo today on the beach in Waipi’o Valley. The fifty or so people who live here have no power, water, sewage, phones, cell or TV coverage. But, somehow, they have all they need. 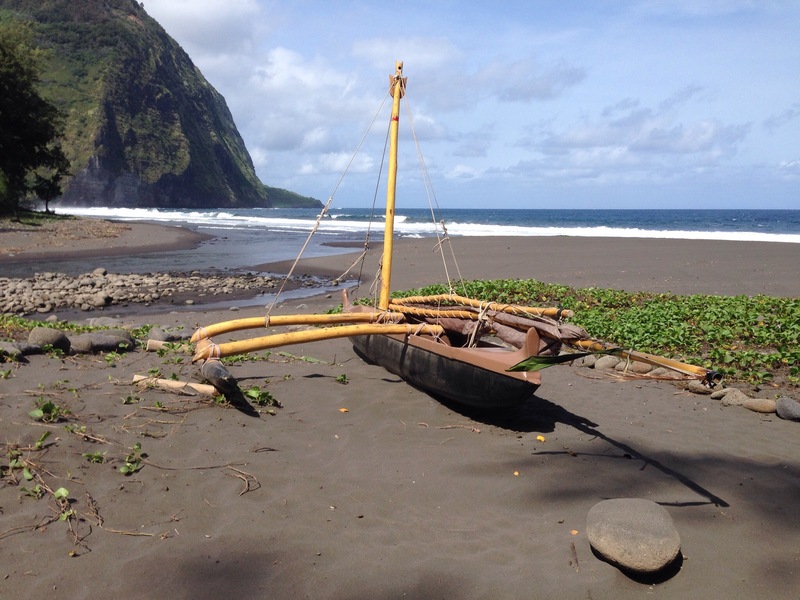 This image was taken after a morning of swimming and snorkeling at Waialea Beach, HI. 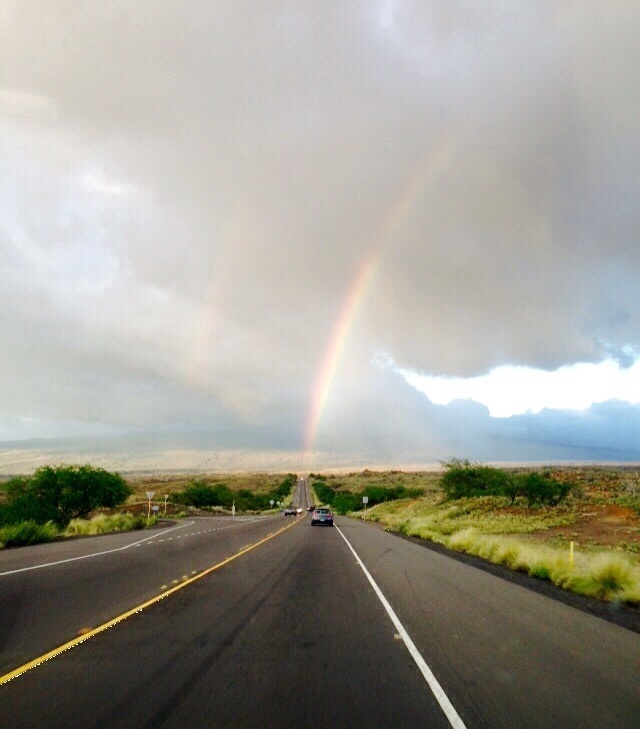 Driving on the Big Island towards a double rainbow. There wasn’t a pot of gold waiting for us up ahead, but it did lead us to a gorgeous golden sunset.